Browse with ease this list of Top ICSE Schools in Mumbai 2019. ICSE schools in Mumbai are ranked among the best educational institutions in India. Discover these schools that offer the best teaching for ICSE curriculum along with complete allround facilities for students. The Cathedral and John Connon School is one of the prestigious School located in Mumbai. Campion School is a boy’s private school started in the year 1943 by the members of the Society of Jesus, commonly called the Jesuits. 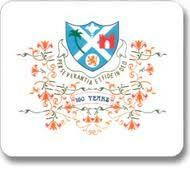 Bombay scottish school, Mahim is one of the top institute in India which was established in 1847. 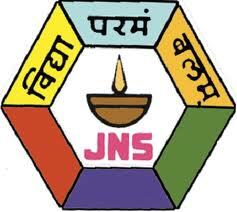 Jamnabai Narsee School was founded in the year 1971 and is affilaited to Indian Certificate of Secondary Education (ICSE), International General Certificate of Secondary Education (IGCSE) and International School Certificate(ISC). Arya Vidya Mandir, Juhu is a renowned school offering global education to students. Maneckji Cooper Education Trust School is one of the best institution situated in the state of Maharashtra. Bombay International School came into existence in the year 1962 by a group of parents who believed in education being a true learning process and not a structured way of imparting information. Arya Vidya Mandir, bandra is a leading institution which has set new standards of education. Hiranandani Foundation School was established in 1990 by Hiranandani Foundation and is affiliated to Indian Certificate Of Secondary Examination(ICSE). Bhaktivedanta Swami Mission School enlightens students with values as well as educational knowledge. Marble Arch School has immensely contributed in enabling a brighter future. Smt Ramdevi Sobhraj Bajaj Arya Vidya Mandir has created a benchmark by imparting global education. Lokhandwala Foundation School offers unique courses which discovers and nourishes talents of students.